Saturday and Sunday, April 13-14, 2019 | 8:30 a.m. to 5:00 p.m. Immediately after registering: complete the required Participant Dossier electronically and email it to Gina Braden at rbraden@georgefox.edu along with a copy of your PT license for each state(s) in which you work. If you have any questions or need assistance, please feel free to email Gina or call 503-554-2450. This 16-hour CE course addresses issues of planning and preparing for physical therapist students during their clinical internships, developing learning experiences, and supporting ongoing learning through questioning and effective feedback. Paul Shew, PT, DPT, has been a CCIP Course Trainer since 2014. He has more than 37 years of experience as a physical therapist, including 33 years as a physical therapist for Providence Home Health Division in Portland. For seven of those years he worked as a rehabilitation coordinator for Providence/St. Vincent Home Health in Portland. He holds a doctor of physical therapy degree from Pacific University (2009), a certificate of physical therapy and a bachelor's degree of science from Pacific University (1981), and a bachelor’s degree of science and math from Southern Oregon State College (1979). Saturday and Sunday, April 6-7, 2019 | 8:30 a.m. to 4:30 p.m. Parking is available in the Roberts Center parking lot. A parking pass will be issued to you prior to the event. Tuesday, March 19, 2019, 6:30-8:30 p.m. Treating individuals with amputation in physical therapy does not end with level-ground gait. Prosthetic users seek to fully engage in life’s meaningful activities and require devices that can reliably function of uneven terrain, slopes, and stairs. This community talk will expand the clinician’s understanding and appreciation of the biomechanics, technology and patient factors that drive state-of-the-art prosthesis development. The biomechanical data, discussion, and video examples are directly applicable for ALL physical therapists who evaluate and treat patients with mobility impairment, regardless of whether or not they have a lower extremity amputation. Please join us for a high-level and engaging talk with Dr. Wilken. Jason Wilken, PT, PhD, is an Associate Professor and Director of Collaborative Research and Development in the Department of Physical Therapy and Rehabilitation Science at the University of Iowa. Dr. Wilken received his master’s degree in Physical Therapy and PhD in Physical Rehabilitation Science from the University of Iowa. He then served as the founding Director of the Military Performance Laboratory at the Center for the Intrepid, Brooke Army Medical Center, JBSA Fort Sam Houston, Texas and Senior Scientist for the Extremity Trauma and Amputation Center of Excellence. He returned to the University of Iowa in 2017 where he has continued his research focusing on maximizing physical function and emotional health in service members and civilians who have experienced traumatic limb injury. His efforts and nearly 100 publications focus primarily on the development and evaluation of advanced prosthetic and orthotic technologies, virtual reality based interventions, clinically relevant outcomes assessments, and development of novel approaches to enhance walking stability. What's the Big Deal About the Movement System? Wednesday, February 27, 2019, 6:00-7:00 p.m. The movement system has been described as the foundation of physical therapy practice and central to our professional identity. Yet our systematic description of movement system problems has been limited and many within the profession are disconnected from the conversation. The purpose of this presentation is to provide an update of the work related to the movement system in general, particularly the work of the presenter and of the Academy of Neurologic Physical Therapy. Patricia L. Scheets, PT, DPT, MHS, NCS, is the Director of Quality and Clinical Outcomes for Infinity Rehab. She received her professional and post-professional degrees from Washington University in St. Louis and is a board certified clinical specialist in neurologic physical therapy. She has worked extensively with patients with stroke, neurological disorders, and balance and vestibular disorders. She has developed a set of movement system impairment diagnoses that is used to guide the therapist's clinical examination and treatment selection for patients with neuromuscular conditions. Her professional experience has always been focused on implementing standards of physical therapy care which reduce variability and improve patient outcome. Tuesday, Dec. 4, 2018, 5:30-7:30 p.m. Please join us for our fifth annual Physical Therapy Student and Faculty Rehabilitation Research Symposium. Our third-year students will be presenting on various research topics. Everyone is welcome and light refreshments will be served. Friday, Nov. 16, 1-5:15 p.m.
Saturday, Nov. 17, 8 a.m. – 5:30 p.m. Parking is available in the Roberts Center parking lot . A parking pass will be issued to you prior to the event. Dizziness and imbalance are the most common complaints for older adults to their physicians, and individuals with dizziness are 12 times more likely to fall. This is a major problem for our health care system as a whole. While complaints of dizziness increase with age, people of all ages are at risk for developing dizziness and vertigo. Regardless of the treatment population you work with, there is a very strong likelihood that you will come across individuals that complain of dizziness and imbalance. Don’t get caught spinning. You can make a difference and improve the quality of life for your patients that suffer from these conditions. You can change their brain! The purpose of this course is to equip you with the tools you need to correctly identify and treat common causes of dizziness and imbalance. The focus will be on the peripheral vestibular system, with discussion of differential diagnosis with central vestibular pathologies and non-vestibular causes of dizziness. We will discuss in depth evidence-based outcome measures with the aim of guiding interventions to help patients with dizziness and imbalance reach their optimal potential. Video case studies and lab sessions will be included to facilitate immediate clinical application. Brady Whetten, DPT, GCS, received a degree in exercise science from Brigham Young University and a doctorate of physical therapy from the University of Utah. He is currently practicing as a physical therapist at Northwest Rehabilitation Associates in Salem, Oregon. He specializes in working with geriatric and neurologic populations and is passionate about learning and applying the latest evidence to maximize improvements for elderly individuals and individuals with neurologic disorders, including dizziness and vertigo. He is a board-certified geriatric clinical specialist and has presented on a variety of topics dealing with geriatric and neurologic physical therapy around the country. Brady has completed the vestibular competency course through Emory University. He is currently serving on a number of committees for the Vestibular Special Interest Group of the neurology section of the APTA. Included in these responsibilities is serving on the Critical Appraisal Team for the development of clinical practice guidelines for unilateral vestibular hypofunction. Thursday, November 15, 2018, 6:30-8:00 p.m. Chronic Disease is the most common, costly, and preventable of all health conditions. The US population is plagued by physical inactivity, lack of cardiorespiratory fitness (CRF), and sedentary lifestyles, all of which are strongly associated with the growing epidemic of chronic disease. Due to growing concern, recent position stands have been published by scientific organizations to help recruit and promote physician and other health care providers' (HCP) involvement in screening and promoting physical activity (PA) in patients. Health care is a team effort and each member can play an important role in this process. The primary objectives for this session are to: identify the relationship between inactivity and chronic disease, discuss PA guidelines for "general health benefits", and discuss the role of physicians and other HCPs in assessing and prescribing PA/exercise for prevention and/or management of chronic disease. Specific strategies that can be implemented into your clinical practice will be discussed. Kim is a licensed, practicing Physical Therapist and Clinical Specialist with over 25 years of experience—23 of those years have been specializing in Pulmonary Rehab at a large, Midwestern academic medical center—the University of Iowa Hospitals and Clinics. She is also an Adjunct Clinical Assistant Professor in the Department of Physical Therapy and Rehabilitation Science in the Carver College of Medicine at the University of Iowa and holds adjunct faculty positions at various other DPT programs. Kim routinely presents at continuing education courses and conferences at the state and national level and provides continuing medical and clinical education for various medical residency and fellowship training programs. She also serves as a Clinical Supervisor for undergraduate students in the Department of Health and Human Physiology, Clinical Exercise Physiology graduate students, and as a Clinical Instructor for Doctoral students in Physical Therapy from various academic institutions. Exercise testing, prescription, and training for people with pulmonary disease are her areas of primary specialization and expertise. Saturday and Sunday, October 20-21, 2018 | 8:30 a.m. to 4:30 p.m.
Email Gina Braden at rbraden@georgefox.edu or call 503-554-2450 if you have questions or need assistance. CCIP Course Trainer Paul Shew, PT, DPT, has more than 36 years of experience as a physical therapist, including 33 years as a physical therapist for Providence Home Health Division in Portland. For seven of those years he worked as a rehabilitation coordinator for Providence/St. Vincent Home Health in Portland. 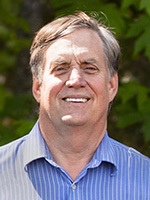 He holds a doctor of physical therapy degree from Pacific University (2009), a certificate of physical therapy and a bachelor's degree of science from Pacific University (1981), and a bachelor’s degree of science and math from Southern Oregon State College (1979). Friday and Saturday, May 4-5, 2018 | 8:30 a.m. to 4:30 p.m.
Friday, March 9, 1-5:15 p.m.
Saturday, March 10, 8 a.m. – 5:30 p.m.
Getting Psyched up about Low Back Pain: Manipulation or Recalibration? It is well known that nearly 80% of the population will experience back pain in their lifetime. Additionally, it’s also known that many patients do not get better, despite physical therapist’s best approaches. Healthcare is rapidly changing; back/spine care and pain management is no different. Ever wonder why many of your patients don’t respond well to treatment? Biomechanical and neuromechanical approaches have little evidence and are no longer the prevailing theory and are not sufficient for the treatment of back/spine and pain management. Physical therapists and other healthcare providers need to expand their views about the causes of pain. This course will critically assess current methods and provide an updated evidence-based approach to back/spine care and pain management, including manipulation and the use of cognitive functional physical therapy for the treatment for non-specific back/spine pain. Tyler Cuddeford PT, PhD is an associate professor at George Fox University’s School of Physical Therapy and is the founding Director of the Doctor of Physical Therapy Program. His recent accomplishments include assisting with the implementation of the Community Clinic, Phase II Cardiac Rehab Program, and primary care physical therapy at Providence Medical Group Newberg. He has given national and international presentations related to the biomechanical causes of injuries to the lower extremity. Dr. Cuddeford’s research interests include Achilles and patellar tendinopathy as well as running and basketball injuries in the foot. He received his Master’s degree in physical therapy from Pacific University in 1992 and his PhD in Biomechanics in 2000 from University of Iowa. Jeff Houck has worked in the physical therapy field for more than 20 years. His physical therapy experience includes practice in six U.S. states and Japan. His academic experience is highlighted by 14 years at Ithaca College and assisting start the program at George Fox University. Dr. Houck has taught a variety of courses including anatomy, clinical biomechanics, clinical orthopedics, quantitative movement analysis, and evidence-based practice. Dr. Houck collaborates with faculty, students and clinicians on various research efforts, including studies funded by the National Institutes of Health and industry sponsors. Topics include a variety of areas: hip fracture, foot and ankle problems, problems, sports injuries, and clinical outcomes. Dr. Houck earned a bachelor of science degree in physical therapy (1987) from Virginia Commonwealth University. He followed that by earning master of science (1996) and doctor of philosophy (1999) degrees in physical therapy from the University of Iowa. Dr. Houck is currently on the International Editorial Review Board of the Journal of Orthopaedic and Sports Physical Therapy. He also serves as a reviewer for several orthopedic and biomechanic journals and has served as a grant reviewer for the National Institutes of Health. In addition, Dr. Houck is active in the American Physical Therapy Association, serving on a variety of committees. Dan Kang PT, DPT is an assistant professor of physical therapy at George Fox University. In addition, he currently practices at George Fox University’s Community Clinic and serves as the Director of the Phase II Cardiac Rehabilitation Program. Dr. Kang is also the Director of Clinical Training for Providence Medical Group’s primary care physical therapy initiative where he utilizes his expertise in manual therapy and cognitive functional therapy for chronic low back pain. Dan received his doctor of physical therapy degree (2004) and master’s degree in physical therapy (2002) both from the Loma Linda University. 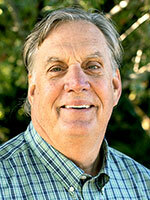 He ran a successful private practice in Southern California for 10 years prior to coming to George Fox University. Saturday, Dec. 9, 8:30 a.m. – 5 p.m.
Sunday, Dec. 10, 8:30 a.m. – 12:30 p.m.
Email Linda Dallof or call 503-554-2451 if you have questions or need assistance. Tuesday, Dec. 5, 2017, 5:30-7:30 p.m. Please join us for our fourth annual Physical Therapy Student and Faculty Rehabilitation Research Symposium. Our third-year students will be presenting on various research topics. Everyone is welcome and light refreshments will be served. This 16-hour CE course addresses issues of planning and preparing for physical therapist students during their clinical internships, developing learning experiences and supporting ongoing learning through questioning and effective feedback. Saturday and Sunday, December 2-3, 2017 | 8:30 a.m. to 4:30 p.m.
Thursday, Nov. 16, 2017, 6-8 p.m.
Light refreshments available starting at 5:30 p.m.
Andrew Meszaros, PT, PhD, is an associate professor in the School of Physical Therapy at George Fox University. Prior to joining George Fox, he worked at the University of Toledo, holding positions in the College of Medicine's Department of Neuroscience and in the College of Engineering's ECORE (Engineering Center for Orthopaedic Research Excellence). His primary goal is to understand how sensory and motor pathways influence each other, and then apply those neurophysiologic principles toward the development of novel injury prevention strategies. Clinically, he has practiced throughout the country, most notably at Woodrow Wilson Rehabilitation Center in Virginia. Dr. Meszaros is a graduate of the University of Iowa (PhD), earning a NIH-funded post-doctoral fellowship in the Iowa Injury Prevention Research Center to study the effects of exercise-induced fatigue on neuromuscular control. He serves as a manuscript reviewer for a number of clinical and basic science journals. Tuesday, April 11, 2017, 6:30-8:30 p.m.
Jason Wilken, PT, PhD, is an Associate Professor in the Department of Physical Therapy and Rehabilitation Sciences at the University of Iowa. Prior to the University of Iowa, he was the founding Director of the Military Performance Laboratory at the Center for the Intrepid, Brooke Army Medical Center, JBSA Fort Sam Houston, Texas, Senior Scientist for the Extremity Trauma and Amputation Center of Excellence and adjunct faculty for the US Army-Baylor University Doctoral Program in Physical Therapy. While at Brooke Army Medical Center, he developed a well-funded and patient centric research program focused on maximizing physical function in individuals who have been injured during military service. His efforts and publications focus primarily on the development and evaluation of advanced prosthetic and orthotic technologies, virtual reality based interventions, clinically relevant outcomes assessments, and development of novel approaches to enhance walking stability. Thursday, Nov. 10, 2016, 6-8 p.m. This talk will focus on how changes in the central nervous system can contribute to chronic musculoskeletal pain. Central sensitization and how it is assessed in animals and humans will be discussed in the context of published and ongoing research. Theoretical implications for clinical care of chronic pain patients will be discussed based on current translational research in patients with Achilles tendinopathy. Dr. Chimenti’s long-term goal is to improve care for chronic musculoskeletal conditions by addressing both peripheral and central nervous system contributors to pain. Chimenti attended the Doctor of Physical Therapy Program at Washington University. While there she participated in the T32 Predoctoral Interdisciplinary Clinical Research Training Program under the mentorship of Professor Linda Van Dillen. After graduating with her clinical doctorate, Chimenti worked at the Rehabilitation Institute of St. Louis, an outpatient orthopaedic clinic. She received a Sproull Fellowship and Florence P. Kendall Doctoral Scholarship to support her dissertation in an interdisciplinary program at the University of Rochester. During this time, she did foot and ankle research under the mentorship of Professor Jeff Houck in the Movement Analysis Laboratory at Ithaca College. Chimenti did a postdoctoral fellowship focused on translating advances in ultrasound imaging to clinical research in the Biomedical Engineering Department at the University of Rochester. She is currently a postdoctoral fellow in the Department of Physical Therapy and Rehabilitation Science on the T32 Pain Research Training Grant at the University of Iowa. Her current research, under the guidance of Professor Kathleen Sluka, focuses on identifying and treating peripheral and central contributors to chronic pain in Achilles tendinopathy. Thursday, Dec. 8, 2016, 5:30-7:30 p.m. Please join us for our 3rd annual Physical Therapy Student and Faculty Rehabilitation Research Symposium. Our third-year students will be presenting on various research topics we would love to have you attend. Friday and Saturday, June 9-10, 2017 | 8:30 a.m. to 4:30 p.m.
Dec. 2, 2015, 6-8 p.m.
Kim E. Eppen, PT, PhD, is a licensed practicing Physical Therapist with over 21 years of experience. She has devoted the past 19 years to specializing in Cardiopulmonary Physical Therapy, more specifically, Pulmonary Rehabilitation, at a large Midwestern University Hospital. (University of Iowa Hospitals and Clinics). She is considered a Clinical Specialist in the area. Kim is also an Adjunct Clinical Assistant Professor in the Department of Physical Therapy and Rehabilitation Science in the College of Medicine at the University of Iowa with primary involvement in the Cardiopulmonary Therapeutics and Differential Diagnosis courses. Dr. Eppen routinely serves as a Clinical Supervisor for undergraduate students in the Department of Health and Human Physiology, Clinical Exercise Physiology graduate students, and as a Clinical Instructor for Doctoral students in Physical Therapy from various academic institutions. Kim is also a routine presenter at courses and meetings at the local and national level. Bryan Heiderscheit, PT, PhD, will provide a presentation explaining a series of studies, using a combination of human motion analysis and biomechanical modeling. He will also discuss a clinical trial, comparing the influence of two rehabilitation programs on specific neuromuscular factors that contribute to re-injury risk for hamstrings. Dr. Heiderscheit is a professor in the Departments of Orthopedics & Rehabilitation and Biomedical Engineering at the University of Wisconsin-Madison. He is the director of the Runners’ Clinic through the UW Sports Medicine Center; director of Badger Athletic Performance Research for UW Athletics; and co-director of the UW Neuromuscular Biomechanics Laboratory. Dr. Heiderscheit’s research is aimed at understanding and enhancing the clinical management of orthopedic conditions, with particular focus on running-related injuries. He is an associate editor for the Journal of Orthopaedic and Sports Physical Therapy and an active member of the American Physical Therapy Association, serving on the Executive Committee of the Sports Physical Therapy Section and founding chair of the running special interest group.